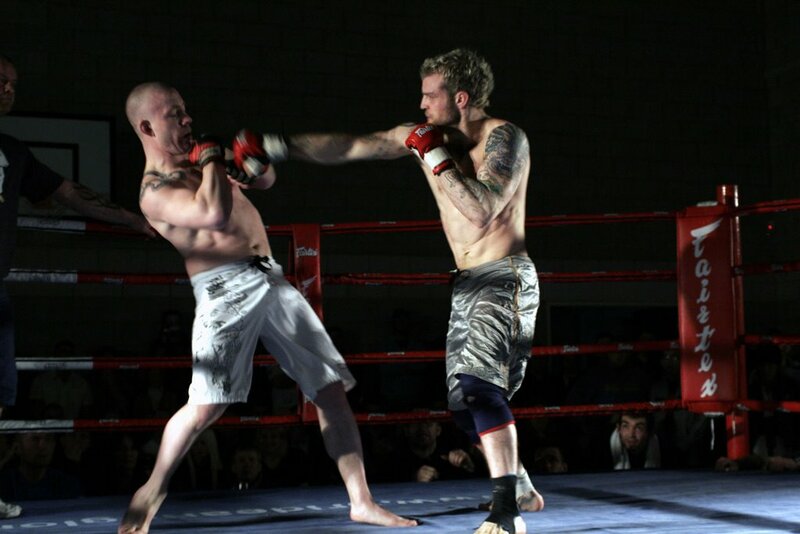 I lost a split decision earlier this year against UK MMA legend Paul 'Hands of Stone' Jenkins at Pride and Glory - Drop Zone 2. 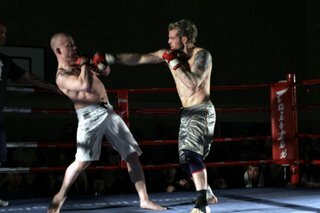 A rematch was set up on Willie Scott's Cage Kombat, but I pulled out due to illness. I was to appear on the next Cage Kombat, but my opponent pulled out on too short a notice to be replaced. I'll be fighting at Willie's next show in February, the day before we go to Brazil and it's possible that I'll be making a one off jump back up to welterweight to face Paul again. 2nd Iron Wolf comes out of the jiu-jitsu closet. Dead or alive...you're coming with me! 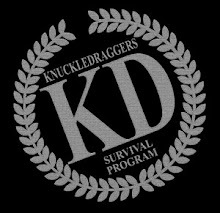 O Knuckledraggers vai para Brasil!